Laser Therapy in Pittsburgh, Pa.
As technologies in the chiropractic field continue to advance, Dr. Turack offers laser therapy in Pittsburgh PA to treat chronic back pain and varicose veins. Laser therapy in Pittsburgh PA is an innovative treatment solution that provides improved circulation, reduced inflammation, and pain relief. It is a relatively new enhancement to the chiropractic field, with the FDA approving lower level laser treatment in 2002. Since then, patients who experience lower back pain have yet another option to relieve their chronic back pain symptoms. Studies have shown that laser therapy is an effective chronic back pain treatment solution for multiple conditions. 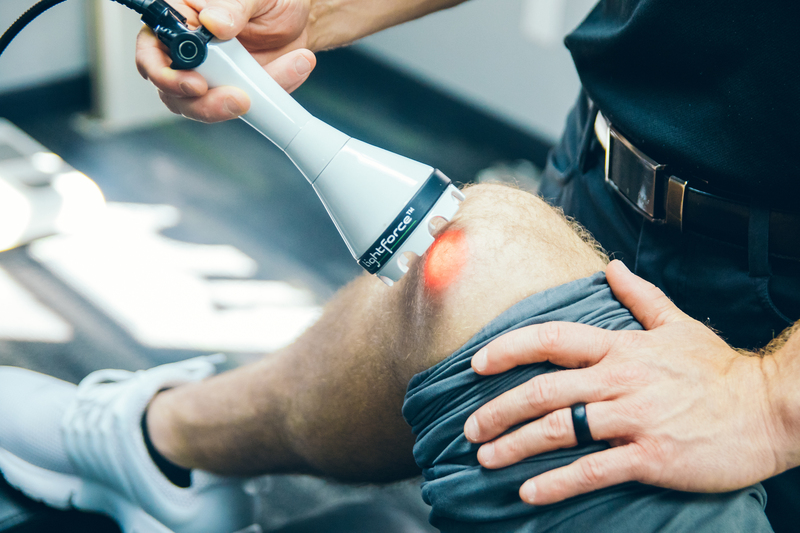 Laser therapy targets soft tissues with both visible red and invisible red infrared light, which delivers positive changes at a cellular level. Patients who wake up stiff every morning with chronic back pain can greatly benefit from laser therapy in Pittsburgh PA; it’s the perfect alternative to traditional surgery or relying on pain medications throughout the course of your life. While laser therapy in Pittsburgh PA is a cutting-edge treatment solution for relieving chronic back pain, it’s also an effective option for reducing or eliminating varicose veins. Varicose veins can be an unsightly feature that is commonly located on the legs; smaller versions of varicose veins are known as spider veins. Until recently, surgery was the typical solutions for removing the bulging veins from underneath the skin. However, the technology of laser therapy now offers a solution to closing and shrinking varicose veins without the use of extensive surgery. In fact, laser therapy is proven to be the most effective solution for treating varicose veins. Laser therapy uses precise tools in its procedure, which cuts down on the amount of potential tissue damage. Patients who undergo laser therapy are typically classified as an outpatient; the procedure is quicker than traditional surgery. Laser therapy offers reduced pain and less swelling. Minimal scarring compared to traditional surgery. If you’ve experienced chronic back pain or dealt with varicose veins, and your current treatment options aren’t yielding desired results, consider the solution of laser therapy in Pittsburgh PA. Dr. Turack’s laser therapy treatment lasts between 5 and 10 minutes, depending your specific condition. Whether you’re seeking treatment for chronic back pain or varicose veins, Dr. Turack can develop a specific treatment plan to fit your needs. To get started with laser therapy in Pittsburgh PA, contact Dr. Turack’s office to schedule an appointment today.